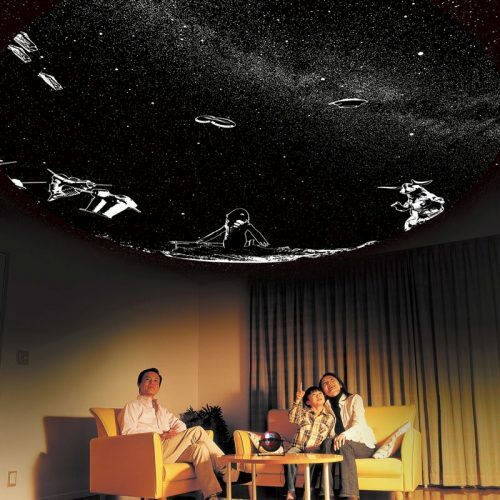 Imagine you could watch the stars while sitting comfortably on the couch or lying in your bed. 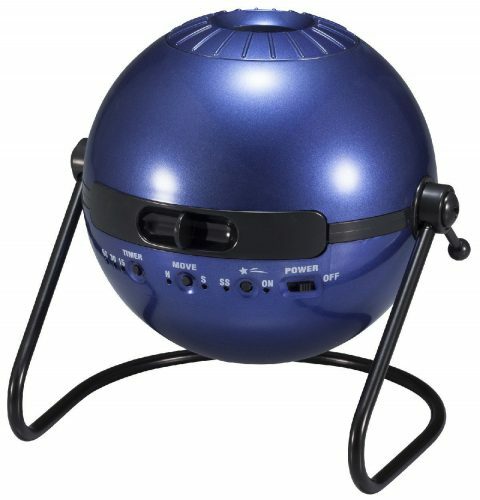 With the Homestar Classic Home Planetarium this dream becomes reality. 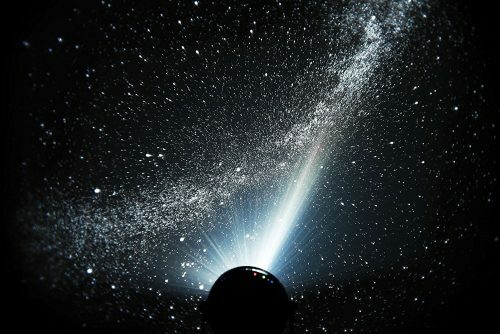 The high resolution lenses reflect an amazing true sky image with 60,000 stars onto the ceiling or wall. Rotational movement is possible. Two interchangeable projection discs with the stars of the northern hemisphere allow you to observe the night sky as it is visible to us. With the “shooting stars” function you can even dream beyond! Projection angle and focus settings are adjustable and a convenient timer is used to automatically turn off the projector. The Sega series Home Classic was designed by the Japanese inventor Takayuki Ohira who is a known expert in for planetariums. Some of his work: the Cosmos Model no. 3, projecting up to 5 million stars. The Megastar II Cosmos is acknowledged to be the world’s most advanced planetarium projector, thus entering the Guinness Book of Records. This expertise flows into each Sega Toys Homestar Planetarium.